The potential scale of UK compensation against VW (Volkswagen) is mind-boggling. It is estimated that around 1.2 million vehicles will be recalled in the UK alone. Vehicle owners are now joining the VW Group Action Register to claim VW compensation in the UK. Vehicle owners are forced to take legal action in the UK. VW will not pay any compensation volunarily.Vehicle recalls have happened in the past, even on a large scale, but over time this has not affected the ‘brand’ of the vehicle manufacturer. However the ‘VW Scandal’ is somewhat different as it goes to the root of trust. 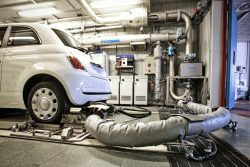 If what has been said is true, that Volkswagen had used cheat software to sell its diesel engines as ‘cleaner’ or ‘greener’ than what they were, the damage to its reputation may take years to repair, if at all. It’s not just VW Vehicle owners but also shareholder who may have lost out on the value of VW shares. Whilst in the past vehicle recalls for mechanical faults were a flaw in the process or design that the manufacturer will pay to rectify, this appears to be different. It has been said in the press that the cheat software used during diesel testing is a scandal. But what can VW customers do now? Certainly our principal Solicitor Mr Ronnie Hutcheon believes that the first step is to register a VW Compensation claim. If you have not had your recall letter yet, here is how to check if your car is affected in this short video. Below is a short animated video that explains what you need to do to make a VW Diesel Claim against the VW Group and to register your claim in the Class Action at Court which is now underway.